Ivana hails from behind the Iron Curtain — Slovakia, former Czechoslovakia. She holds a Master’s degree in Industrial Design of Furniture along with extensive education in textile design. Her love for traveling brought her to the U.S. for the first time in 2003. After graduating from the Technical University in Zvolen, Slovakia, she took a two year vacation from “real life” and traveled all around the States. Echelon Custom Homes discovered Ivana in late 2007 and she’s been part of the design team ever since. 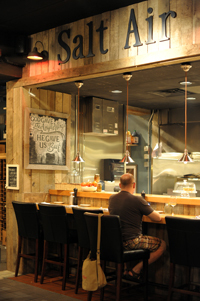 Salt Air reopened under new management on April 26th, 2012. I couldn’t wait to try out their new menu and see the remodeled space. Finally this week I was able to stop by for a quick dinner with friends. Country farmhouse interiors with coastal flair create a nice and relaxed atmosphere. The new menu has something for everyone. Fresh fish, shellfish, meats and local vegetables & fruits. What was on my plate? Amazing Roasted Beet Salad with whipped goat cheese and a side of Roasted Brussels Sprouts. Yum! The portions are quite large so come in hungry or be prepared to share. What was in my glass? White Wine Sangria. Wow! Make sure you try it. Don’t skip the dessert! I’ve tried the Homemade Apple Pie and it was delicious. 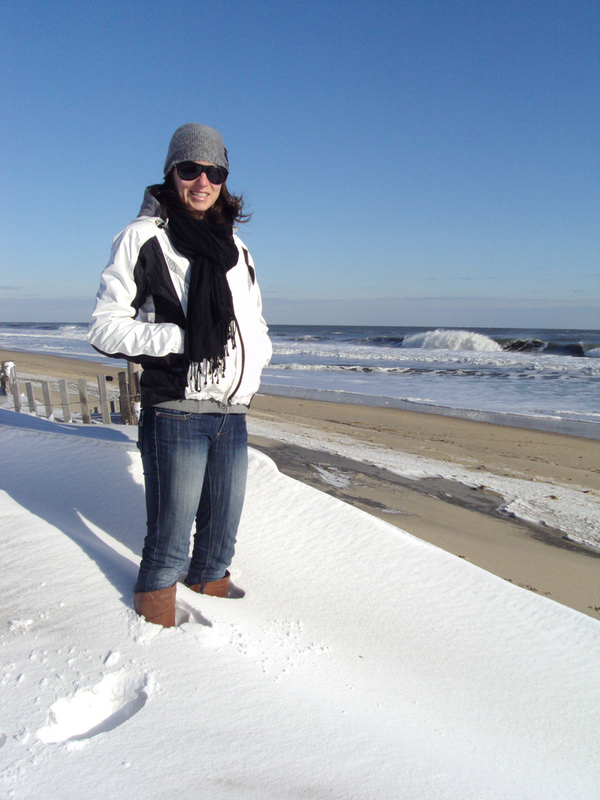 Not to mention the vanilla ice-cream, also homemade, was one of the best ice-creams I’ve ever had in Rehoboth. 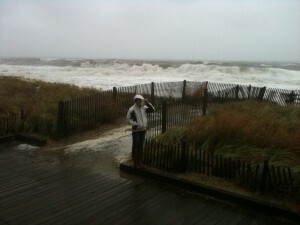 Salt Air is located at 50 Wilmington Avenue in Rehoboth Beach. 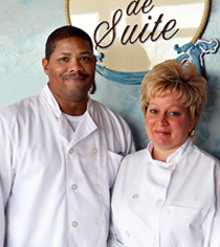 If you plan to dine at Salt Air Restaurant make sure to get a reservation at 302.227.3744. Do you ever wonder where to go for the best French rolls, butter croissants or scones? Search no more. About two weeks ago I met David Hines at a social media seminar. We sat next to each other and started talking. He told me about his little bakery located at Paynters Mill. I was instantly intrigued. I’ve been looking for a nice European style bakery to include in Club Echelon for quite some time and now I found it. David and his wife Barbara, who is a professionally trained pastry chef, opened their Patisserie (French pastry shop) about two years ago. Their dream was to bring back the art and craft of baking and pastry making. Their shop, Tout de Suite (pronounced “toot sweet”), is perfectly suited for those who want to experience European quality baked items, from classic butter croissants to French macaroons. I visited their Paynter’s Mill* location in Milton, where I tried a Croissant with vanilla cream, golden raisins and spiced rum syrup and Blueberry-Cheese Danish. Wow, it was good! I told Barbara I wished their bakery was closer to the beach. She then told me that Tout de Suite will have a new retail location at The Unique Boutique in Lewes (also known as ‘The Barn at 5 Points’) just north of Ace Hardware on Rt.1 starting March 1st 2012. Hoooray! The shop will be open Wed. – Sat. from 9 am – 3 pm. Stop by our newest Club Echelon business for a fresh croissant and a cup of coffee and say hello to Barbara & David. Bon Appetite! *After March 10th, 2012 the Paynter’s Mill location will be used for production & special/large order pick up only. Call in advance for large orders at 302.645.4558.